An honest income-tax official conducts a carefully planned raid on one of the most powerful people in Uttar Pradesh. The lead star is Ajay Devgn. The director is the man who brought us Aamir and No One Killed Jessica. The year is 1981, back when sewing jewellery into mattresses and stashing cash under floor tiles was the order of the day among tax evaders. Raj Kumar Gupta’s Raid works, for the most part, like a procedural drama. Devgn’s Amay Patnaik arrives at his new posting after being transferred from station to station as punishment for his integrity. Ritesh Shah’s writing largely mirrors this no-nonsense character, going about its business quietly and purposefully, and in the bargain throwing light on one of the least hailed of government departments. Amay’s sincerity is established within minutes of his arrival on the scene. It is clear too right from the start that the enemy is not confined to the homes of wealthy families with unaccounted incomes. The enemy within is as lethal a combatant as any outside. Apart from his associates, we also meet Amay’s wife Malini (Ileana D’Cruz) who unflinchingly supports him despite her exhaustion at the repeated packing and moving that have become constants in their life. 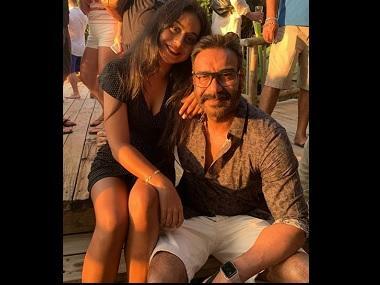 On the face of it, it could be said that Devgn has played precisely this part – a ramrod straight man within a broken system, doing his duty against all odds – a zillion times in his 27 year long career, yet there is a difference. In most of his previous such films, there was a superhero element to his role. In Singham, for instance, his Bajirao Singham virtually climbed pillars and walked on air to single-handedly bash up packs of goons. 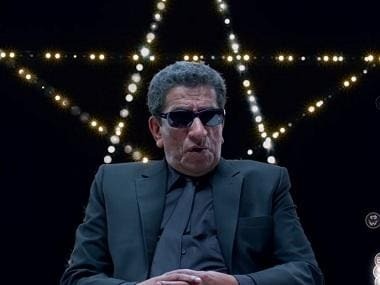 Here, in a production that strikes a far more realistic tone than the formulaic commercial Hindi cinema that dominates his filmography, Amay requires police protection to conduct his work freely, and is often afraid although he does not allow his fear to hamper his assignments. Credible realism and Gupta’s unembellished directorial style are what make Raid such a gripping experience. The film occasionally falters in this area – twice, to be precise, when the romantic songs 'Saanu Ek Pal' and 'Nit Khair' are needlessly jammed into the otherwise unrelentingly pacey proceedings. This trite device has been plucked out of the 1980s in which the tale is set, from the days when musical interludes were the primary means of portraying man-woman love in Bollywood and it was assumed that the audience wants such breaks within every powerful narrative. If anything, these numbers serve as irritating distractions in Raid, though thankfully they are brief enough to not be completely ruinous. Once Amay’s team enters the house that is the fulcrum of the film’s action, Raid almost feels like a suspense thriller. Who is the informer who has given him such accurate information about a family with such clout? Will Amay manage to finish the task at hand or will he be disillusioned by how far the corrupt Tauji’s political allies will go to save him? And where on earth has Tauji hidden his ill-gotten riches? As riveting as these questions is the realisation dawning on the viewer as the film rolls along, that income-tax officials operate in a very dangerous field. Potential transfers are nothing in comparison with the risk of actual physical harm that their targets could inflict upon them. The manner in which Gupta leads up to this point is smooth and believable. It helps that he has picked a no-fuss cast who match his intent scene for scene, as does editor Bodhaditya Banerjee. Devgn does brooding intensity better than most of his colleagues, and injects just the right amount of vulnerability into Amay to make him relatable. While some of the lines given to Amay (and wisely to Amay alone) hark back to the dialoguebaazi of an earlier era in Hindi cinema, the actor delivers them sans bombast to ensure that they are fun and do not sound dated. Ileana as his wife gets limited screen time, but for what it is worth, she plays it well, achieving a nice note of indulgent bemusement in response to her husband’s often exasperating uprightness. Saurabh Shukla as Tauji is the lynchpin of the striking supporting cast, with the screenplay giving him enough space to imbue the characterisation with interesting shades of gray. Sheeba Chadha as one of the bahus of his household and Amit Sial as Amay’s colleague are among the multiple satellite players who lend crucial detailing to their characters’ questionable morality. Thankfully, none of the bad folk here are caricatures and one of the most enjoyable parts of Raid is Tauji’s relationship with his brusque, wizened old mother. At 128 minutes and 3 seconds, Raid is just the right length for its pithy screenplay by Shah whose earlier credits include Citylights (2014) and Pink (2016). The opening text on screen informs us that it is “based on true stories”, and in the end we are told of the perils faced by income-tax officials in real life. Media coverage and our own apathy have reduced these sarkari afsars to nothing but their nuisance value and the way they are misused by vengeful governments. 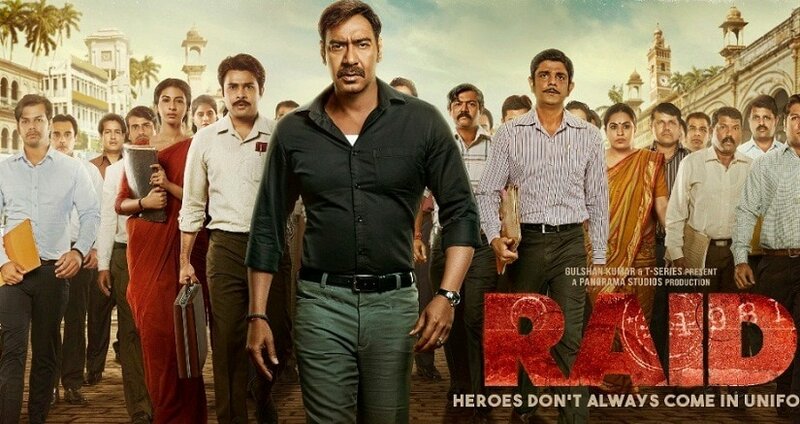 Raid throws light on another crucial aspect of their story that we all ought to know, minus stereotypical Bollywood-style glorification of honest individuals. Barring those incongruous songs, the gendered language of the closing text on screen (which assumes that all income-tax officials are male, contrary to what we see even in Amay’s office) and a passing line about homosexuality that could perhaps have been better written, Raid is on point, insightful and engaging. This is not the kind of fare you might expect to set your pulses racing, but that is precisely what it achieves in its closing scenes. Raid is not regular Bollywood. What it is though is thoroughly entertaining.